In this series of works in progress, I examine the question of personal identity in the age of digital information. 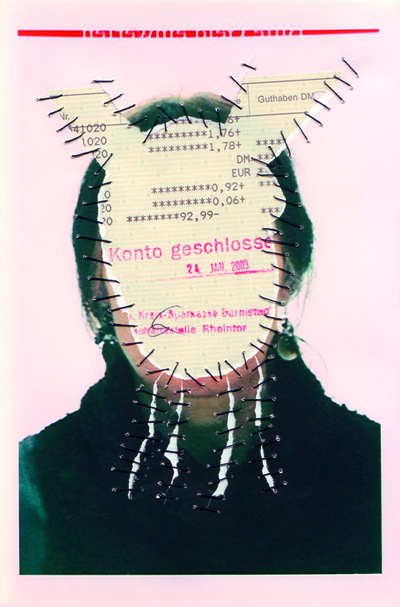 The series shows a search for biographical traces in self-portraits with sewn-in original documents, beginning with my birth certificate and continuing on to the SIM cards that are in everyday use and in which my Self is saved in digital format. The conclusion to this series will be a collage including my death certificate, to be put together by one of my surviving family members.